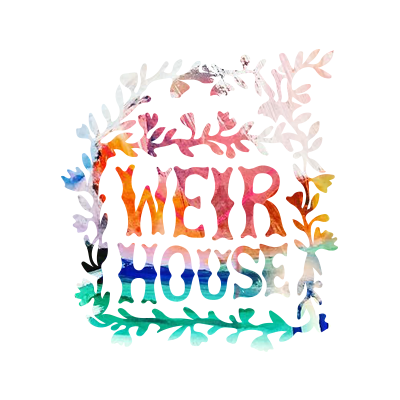 Disclaimer: The Weir House was provided free product in exchange for an honest review. All thoughts and opinions expressed herein are my own and are not influenced by the company or its affiliates in any way. Say hello to my new bathroom companion: Indie Lee. Do you guys wanna know what totally tickles my fancy? Good, wholesome companies who care about my health. 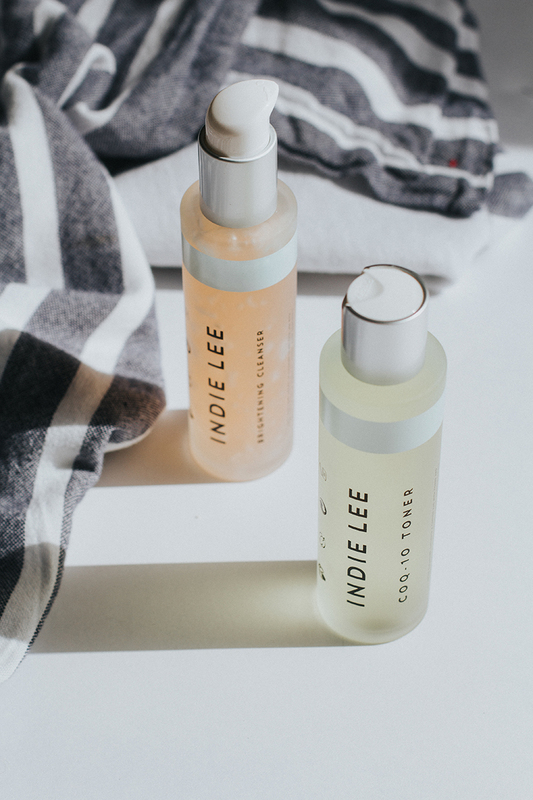 And Indie Lee is totally one of those companies, so much so that they have an entire section on their website that talks about “good ingredients” to look for in products and “bad ingredients”. 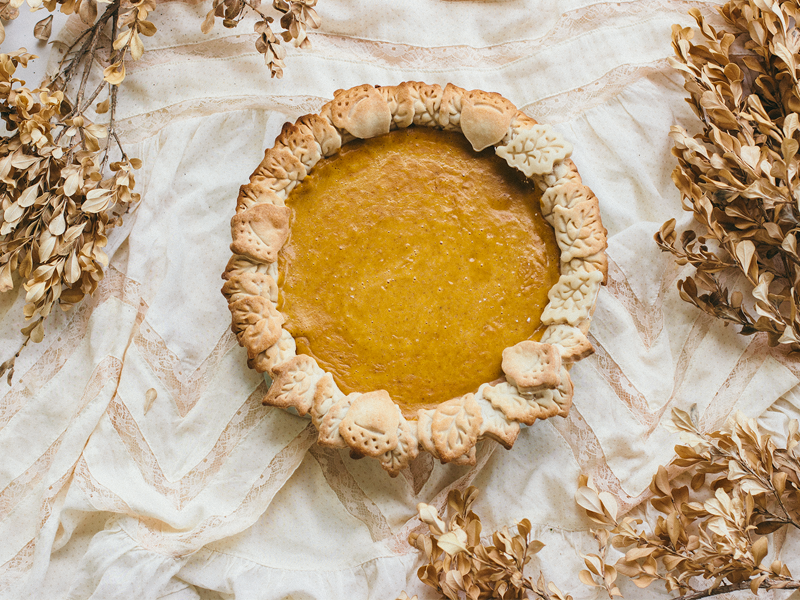 Their products contain all the good ingredients, of course…which is why I’m talking about their product line on the blog today! Yip, Yip! If you guys have been following my organic series (I mean, i’m only on the third post, so we’re not that deep into it yet haha) you’ll know that my goal is to completely replace all the products in my house – from food to beauty to skin care – with healthier options. So far, I’ve made a big product switch on post 1, but the reason I’m calling this series “The Persuit of Organic” is because i’m always on the hunt for BETTER. And boy, oh boy, have I found it today! As the disclaimer above states, I was sent these products in exchange for an honest review. If you’ve been following my blog for some time, you already know that I’m honest to a fault. But today I have nothing but good things to say about this skin care line. I’ll be quick to admit I’ve never heard of them before, but toxic-free and organic products are all new to me, so that’s no surprise. As soon as I received these products from my mailman, J.J., I was knee deep in online research. 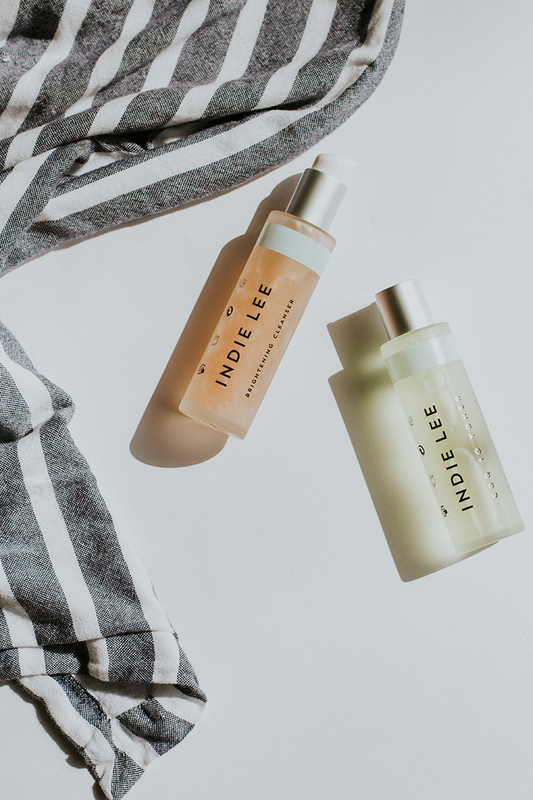 I wanted to know why Indie Lee was created and what makes their skin care line different. After reading Indie Lee’s story about conquering a life-threatening brain tumor from environmental toxins, it all made sense. When your doctor tells you that you have 6 months to live, there’s no bigger wakeup call than that. 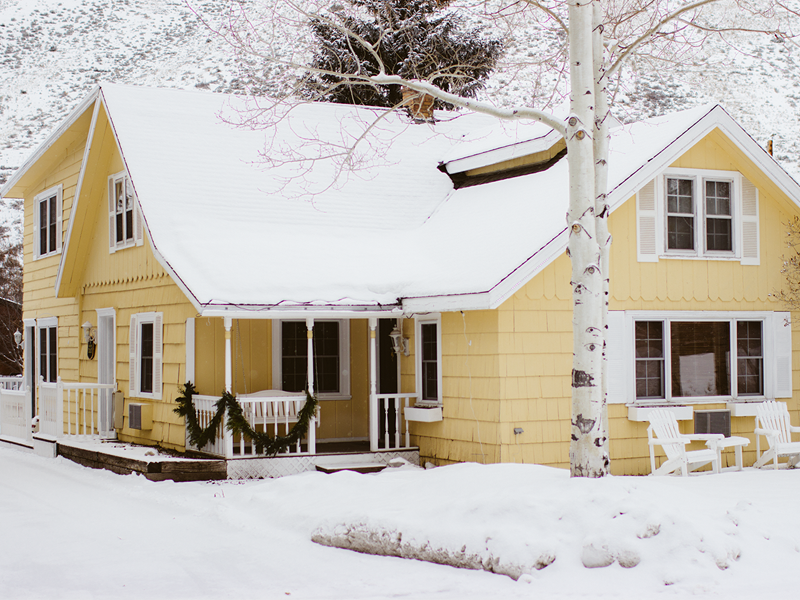 From there, she started making a change and her eco-friendly skincare line was born. While my story doesn’t involve a scary brain tumor, I began reading hundreds of articles about toxins in our blood with the products we use as the culprit. 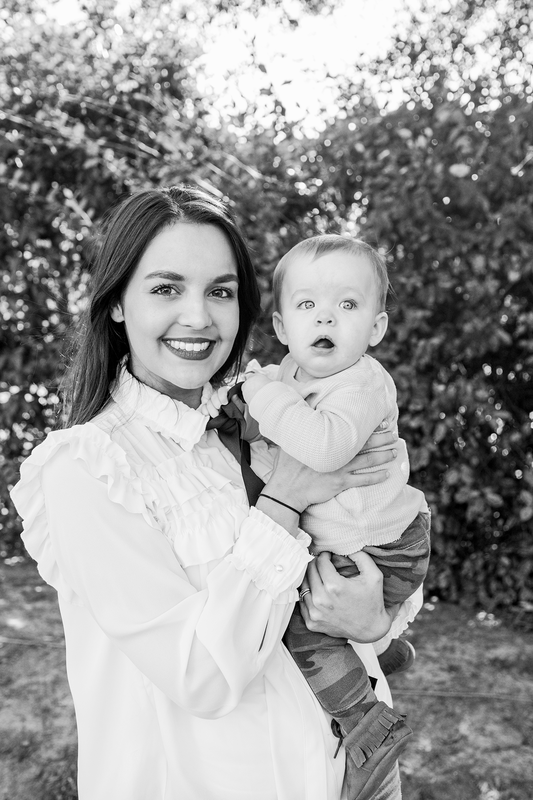 The last thing I wanted was to pass toxins to my baby through breastfeeding. It was time for a change! Can we talk about this packaging? NO plastic, all glass. And the branding is spot on. I’m such a sucker for good branding. And where do I even begin with this luscious cleanser? I wash my face every day in the shower as part of my morning routine, so this has stayed in my shower cubby for easy access. The directions call for putting a dime size onto wet skin and washing it off with warm water. Immediately after putting it on my face, my jaw dropped from the intoxicating smell. It smelled like fresh strawberries…like I had whipped up this mixture in my kitchen. And not a cheap Bath & Body works strawberry smell. It was like an expensive bottle of strawberry champagne kind of smell. 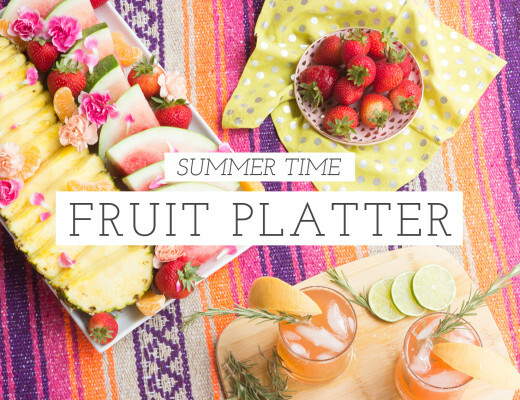 The key ingredients are purified water, coconut oil, sunflower oil, hydrolyzed wheat protein, strawberry seed oil, and lycopene. That strawberry seed oil gives me major heart eyes. After my shower, I used the toner. I’ll admit I was a little wary. I have naturally dry skin, so toner isn’t normally in my repertoire of skincare products, but this had no alcohol smell and glided across my face. It has a light floral smell to it with ingredients like aloe vera, hyaluronic acid and powerful antioxidant Coenzyme Q10. I dig it. 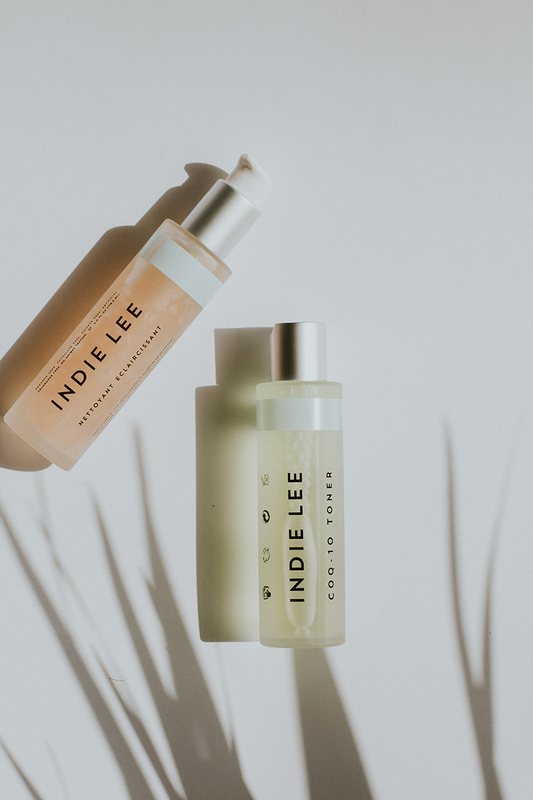 Have I mentioned Indie Lee’s products are parabon free, phthalate free, sulfate free, artificial fragrance free and are certified under the Leaping Bunny Program as cruelty free? I see that twinkle in your eye. This is good stuff, huh? I hope you have the chance to try this brand and the amazing ways they’re changing skincare! I’ve already ordered the moisturizer and have a feeling this line will be a part of my beauty routine for years to come.